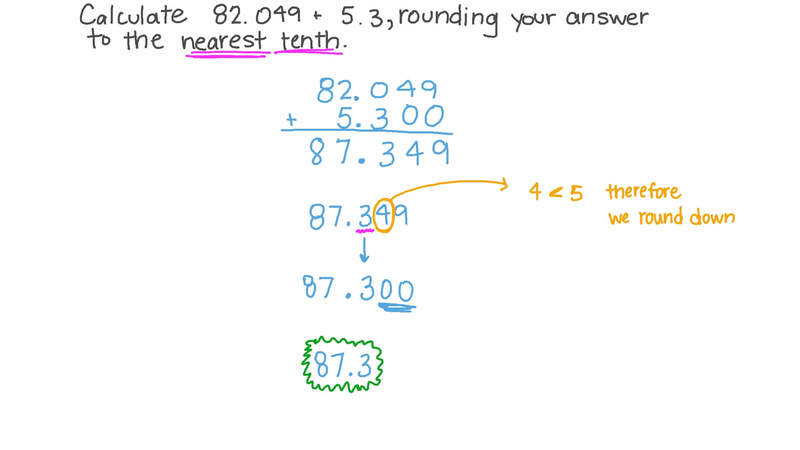 In this lesson, we will learn how to estimate the sum of decimal numbers up to hundredth using rounding or benchmarks, and we will demonstrate how this can be used to solve problems in the real world. Calculate 8 2 . 0 4 9 + 5 . 3 , rounding your answer to the nearest tenth. 1 . 3 5 6 5 + 2 . 2 5 2 ≈ to the nearest thousandth. Complete 8 2 3 7 1 0 0 0 + 3 8 9 2 0 0 ≈ to the nearest hundredth. 5 4 9 9 2 , 0 0 0 + 7 1 , 3 1 1 2 , 5 0 0 ≈ to the nearest thousandth. Two pieces of cloth are 291.67 m and 455.196 m long. 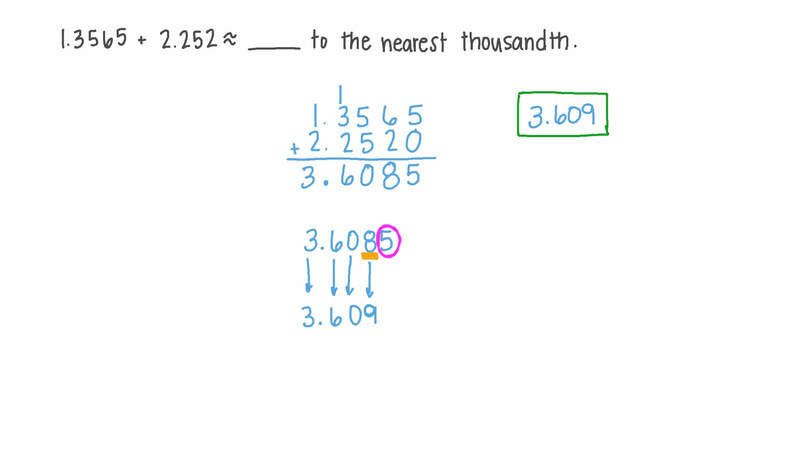 Find the sum of their lengths. Give your answer to the nearest hundredth of a metre. 1 7 . 3 7 6 + 1 8 . 1 2 ≈ to the nearest hundredth.